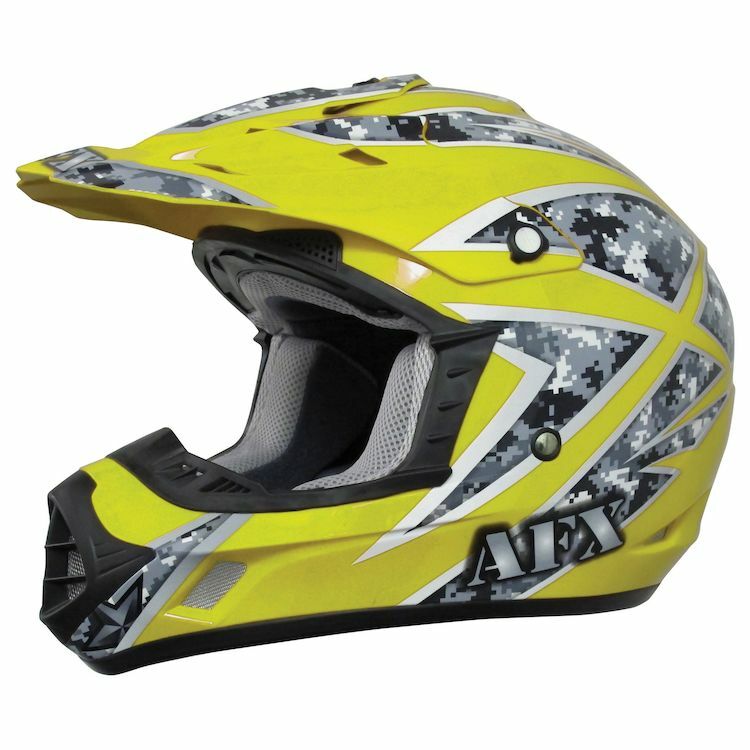 My son needs a lid for atv-ing and he likes military themed things, so this AFX FX-17 has a camo pattern to it which he really digs. I like it because he should be easier to see being that it's a HV orange color. Can't wait to see him wearing it on his quad.